Note: Once you've setup your code using the instructions below and you know you have traffic on your pages, login to your analytics account(s) and make sure everything is working properly! Once you've copied the tracking code snippet (Ctrl+c) from Google or Facebook, it's time to add it to your campaign header. Sign into your Flipcause dashboard and go to Campaigns > Edit this Campaign. Hit Save once you've entered your code. Repeat the steps above for the Integrated Appearance, if needed. 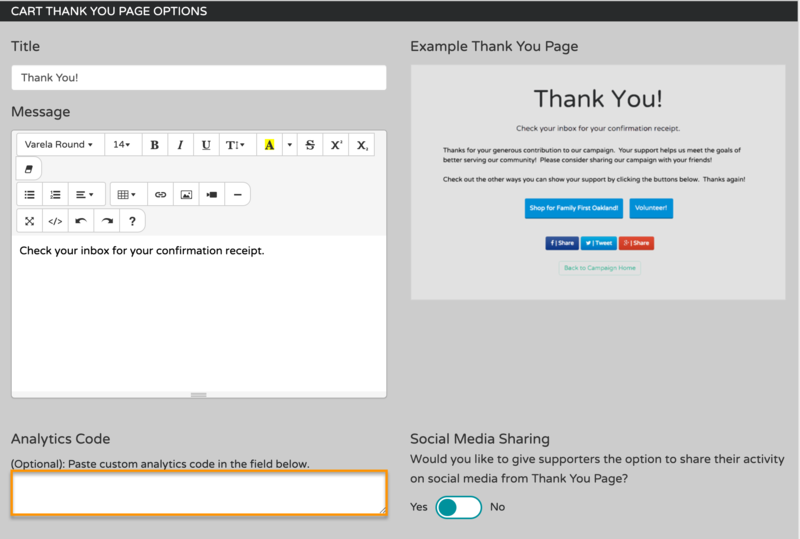 The next step is to add your tracking code snippet to the Thank You page for this campaign. You can add the tracking code snippet once within Order Settings. 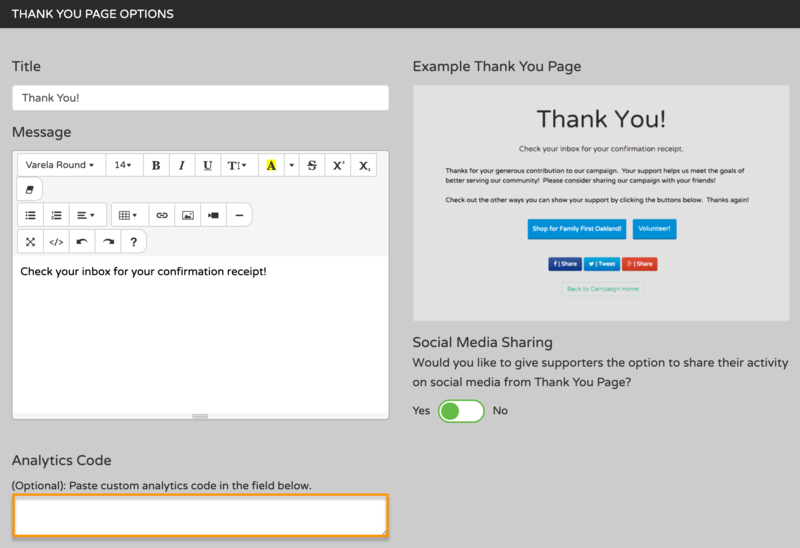 You'll need to add your tracking code snippet to the Thank-You page for each active tool. Repeat the steps above for each active tool within your campaign.